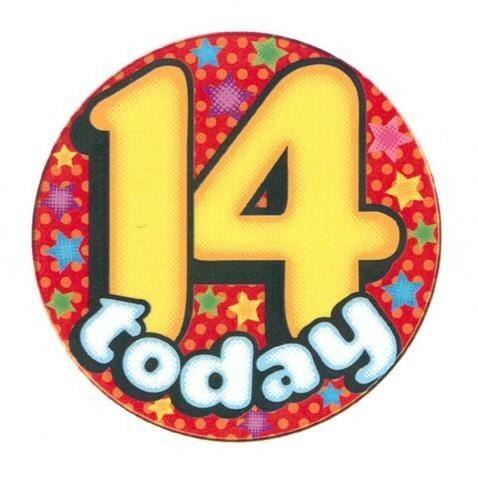 Big badges with 14 Today on it. Unisex design. Has a safety pin to attach, all badges have a stand that pulls out so you can use as a decoration. Big badges have a huge array of designs and age birthdays to chose from.